On the 500th anniversary of his death 144 of Leonardo da Vinci’s finest drawings are being displayed around the United Kingdom during 2019. 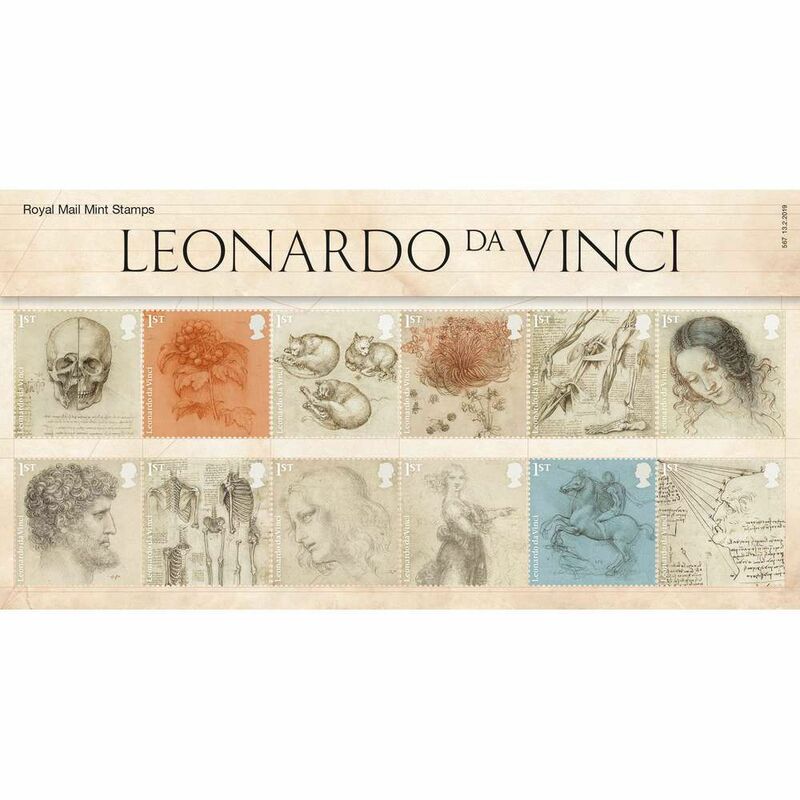 One of the greatest collections of his work is owned by Her Majesty the Queen within the Royal Collection Trust, housed in the Royal Library at Windsor Castle and some these works are reproduced here on twelve special 1st Class stamps in the exquisite Leonardo Da Vinci Presentation Pack AP456. 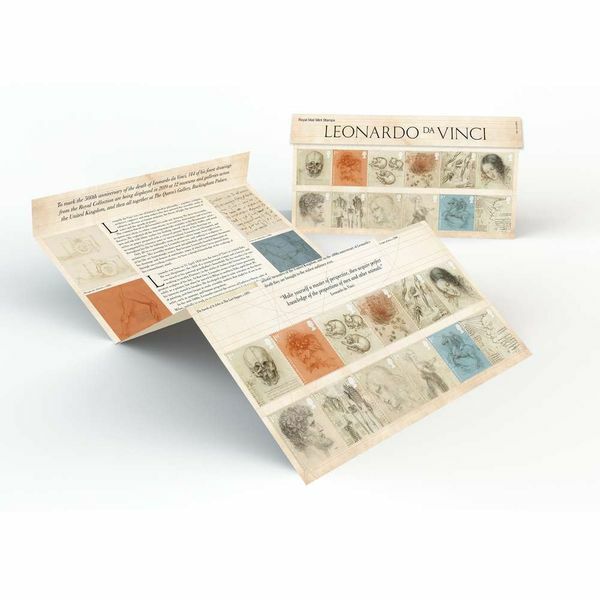 The Leonardo da Vinci Presentation Pack provides a fascinating insight into the life and works of the world-renowned artist, sculptor, architect, designer, engineer and supreme draughtsman. 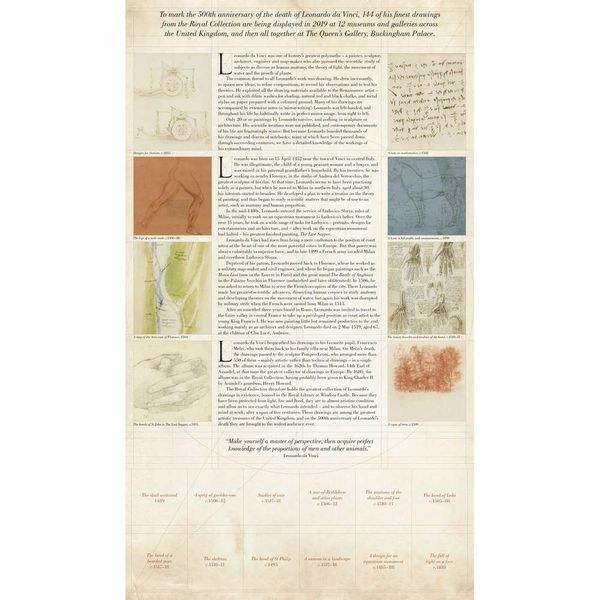 The pack includes a selection of drawings that demonstrate the diversity of objects and subject matters such as human anatomy, animals and maps that fascinated Leonardo and highlight his creative genius. Behind each stamp is the title of the drawing featured and the approximate year in which it is believed to have been produced. The twelve 1st Class stamps are: the skull sectioned, a sprig of guelder-rose, studies of cats, a star-of-Bethlehem and other plants , the anatomy of the shoulder and foot, the head of Leda, the head of a bearded man, the skeleton, the head of St Philip, a woman in a landscape, a design for an equestrian monument and the fall of light on a face. 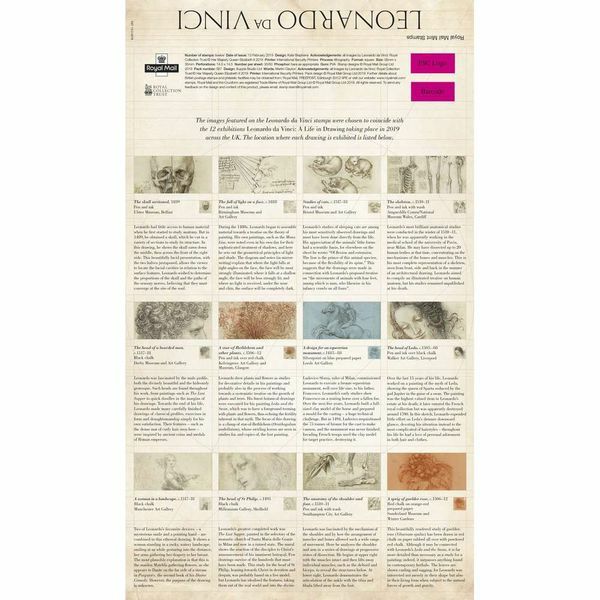 Are you are looking for more Leonardo da Vinci themed collectibles? Here on the Post Office Shop there is a wide range available for purchase, perfect for any avid collectors or someone who wants to start their collection.